(Rick Egan | Tribune file photo) Rep. Ray Ward, R-Bountiful, as seen in February 2016. Ward is sponsoring HCR1, a nonbinding resolution that would acknowledge prevailing science saying the Earth is warming and that human carbon-dioxide emissions are a primary cause. The measure drew a mixed reception on Tuesday before the House Natural Resource, Agriculture and Environment Committee. Despite pressure from colleagues on Tuesday to accept current science, some Utah lawmakers remained resistant to the concept of human-caused climate change. Members of the House Natural Resources, Agriculture and Environment Committee heard about two climate-related proposals Tuesday morning, House Concurrent Resolutions 1 and 7. Both are nonbinding measures that would enshrine some kind of recognition the climate is changing into state policy — but legislators ran out of time and postponed further debate and a vote until Thursday. HCR1 urges the Utah Legislature to acknowledge prevailing science that suggests the Earth is warming and that the trend is influenced by human activity. The other measure, HCR7, would recognize “impacts of a changing climate on Utahns” as well as a need for environmental stewardship, and commit the state to considering both the environment and the economy in future policy decisions. Most of Tuesday’s discussion focused on HCR1, sponsored by Rep. Raymond Ward, R-Bountiful, who gave committee members a presentation on current climate research. Ward displayed graphs showing a 1.5-degree rise in global temperatures over the past 50 years and an 2.5-degree increase in Utah over the same time. Ward described how a thick atmosphere of carbon dioxide keeps Venus warmer than Mercury, despite the fact that Venus is twice as far from the sun. The lawmaker used what he called middle-school math to correlate human emissions of carbon dioxide to changes in the Earth’s atmosphere. But many of Ward’s colleagues were quick to argue, particularly on the topic of whether climate change is caused predominantly by human activity. “If we’re using the last 150 years of data sets and we correlate that to the recent change in temperatures, how do we explain that the Earth warmed enough before human activity to allow crop production … and 500 years ago it cooled long enough to kill all the crops in Northern Europe?” asked Rep. Scott Sandall, R-Tremonton. “I don’t understand, previous to that, the natural warming and cooling of the Earth,” Sandall said. Ward explained that the current warming is happening in addition to those natural, longer-term fluctuations in the planet’s climate. Testifying before the House panel at Ward’s request, Glenn Johnson, a research associate professor at the University of Utah, said that scientists widely agree that humans are causing the majority of the current warming. He gave lawmakers a list of scientific organizations that have issued position statements backing that conclusion. After reviewing the list, Rep. Derrin Owens, R-Fountain Green, asked Johnson what he made of several scientific groups in Europe that had stated their disbelief in climate change. Johnson said he was unaware of any such groups. “There is definitely some, maybe not panic, but I can feel urgency in your voice about this,” Owens told Johnson, a geologist and forensic chemist. 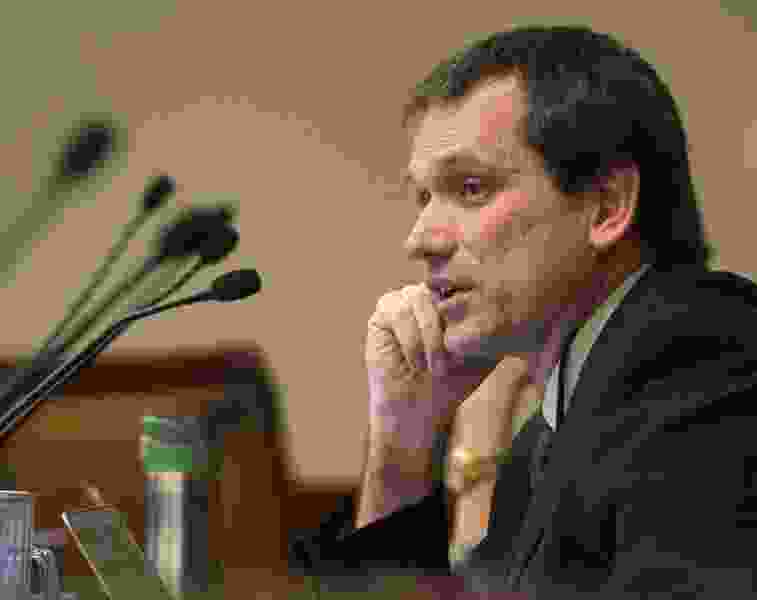 Owens later told colleagues he was unable to say he believed that human activity was a “substantial” cause of climate change — to which Ward replied that he had amended HCR1 to remove references to the degree of human influence on global climate in order to make the proposal more palatable to fellow legislators. Other lawmakers said they were unwilling to restrict Utahns’ freedoms based on limited scientific evidence, and argued that Utah could do little to stop climate change. (Rick Egan | Tribune file photo) Rep. Rebecca Edwards, R-North Salt Lake, as seen in the Utah House of Representatives on Jan. 26, 2018. Edwards is sponsoring HCR7, a nonbinding resolution that would recognize the impacts of a changing climate on Utah residents and encourage reductions in climate-affecting emissions. The House committee ultimately voted 9-3 to skip action on Ward’s HCR1 and moved to a discussion of HCR7 — despite protests by Reps. Joel Briscoe and Susan Duckworth, both D-Salt Lake City. Edwards emphasized her bill enjoyed broad support, including from Utah’s largest electrical utility Rocky Mountain Power, and global mining conglomerate Rio Tinto, which owns Utah’s Kennecott copper mine. However, the committee was unable to discuss Edwards’ bill due to time constraints and delayed further action until Thursday.